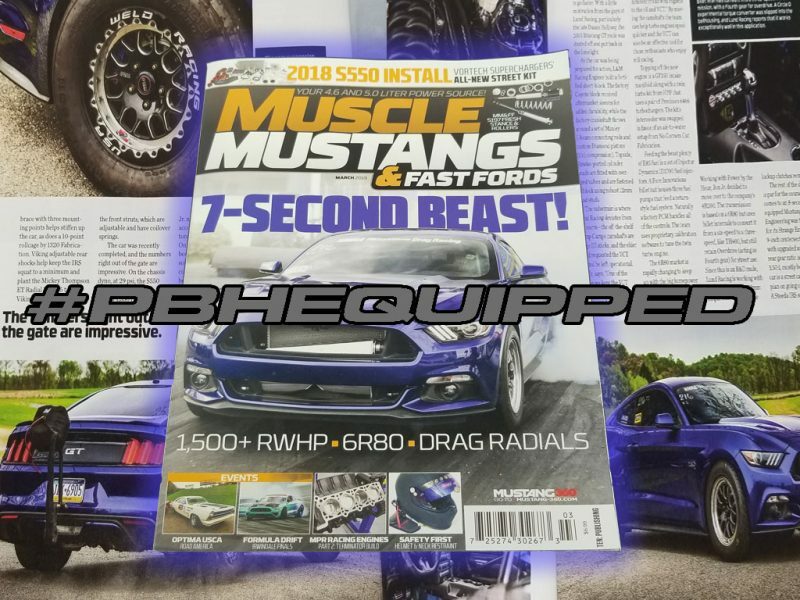 Home»Posts»Lund Racing takes the cover with a #PBHEQUIPPED ride! 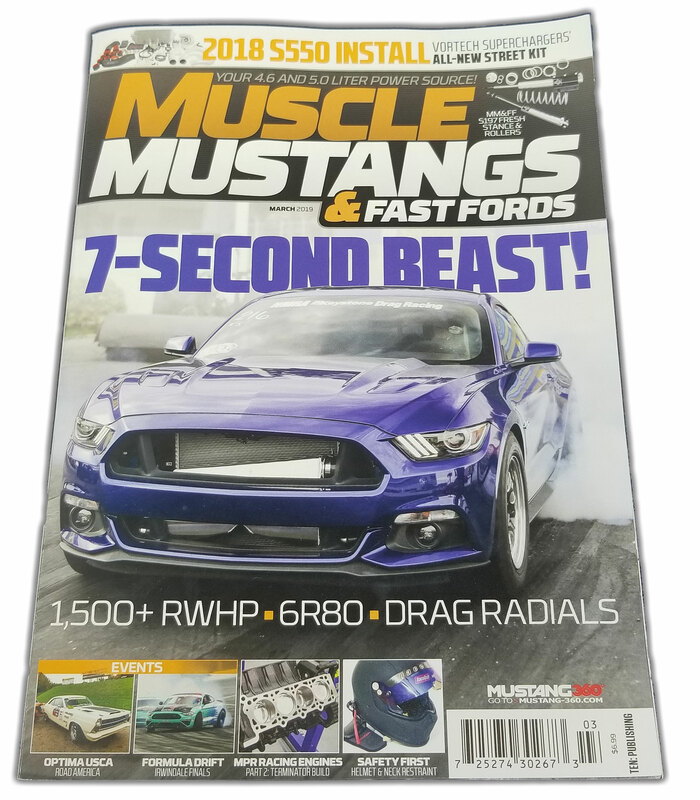 Muscle Mustangs and Fast Fords has released their March 2019 issue. On the cover is the Lund Racing “Blue Goose”. 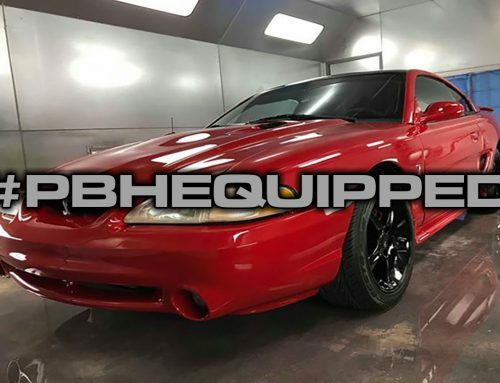 If the car looks familiar; that is because we have featured it before on our social media pages and here on our site. The 2015 Gt is powered by a L&M Racing Engines Coyote with a HPP Twin Turbo system with Precision Turbos. 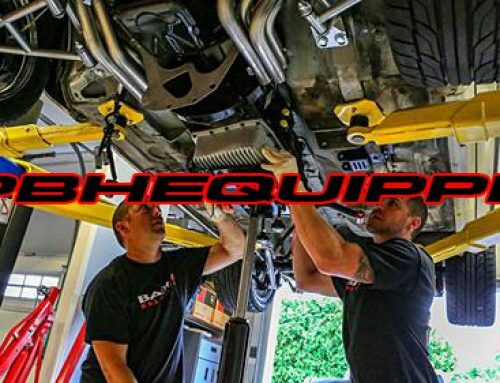 The rear suspension is factory style IRS with components from Steeda, UPR, Viking, G-force, and Ford Performance. The mod list goes on and on with this Deep Impact Blue GT. What you will notice is that the parts listed are all the same components you would use on your street car. The Goose even weighs in at 3700lbs. Why is this all important? cause it shows you what a well sorted Street Strip ride can do when its properly setup. How fast? 7.78@108mph. 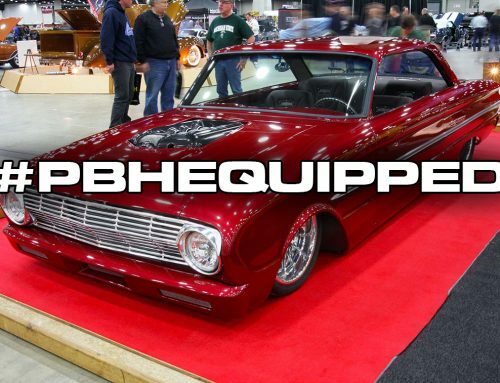 When we say its #PBHEQUIPPED we are directing your attention to the transmission. Our 6R80 automatic transmission is doing all the work behind the L&M Coyote which puts down over 1400rwhp. The 6R80 in the car has the same components available in our 6R80 rebuild kit available here on our website. Our Raybestos GPZ Friction kit, PBH Boninfante Intermediate shaft, and 4r200 hub. 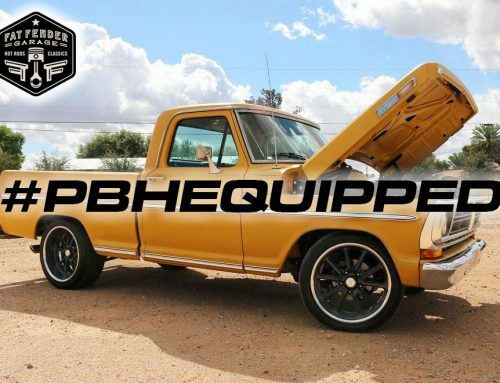 This trans can be ordered for your own build and you too can take advantage of the performance it can handle. The Lund Racing team has been instrumental in the tuning development of the 4R200 and has also been at the fore front of all 6R80 tuning starting back in 2011. All that development has paid dividends at the track and the Blue Goose is proof of that. So if your putting down big power or plan too in your Coyote Powered ride you know who to turn too for your 6R80 needs.